Welcome to Americas Best Value Inn Livonia/ located in northwest Wayne County/ Michigan. Livonia encompasses an area of 36 square miles and is only 10 miles from the busy Detroit metropolis. Plan a fun filled day with family and friends at the famous Henry Ford Museum and Greenfield Village/ known as Americas Greatest History Attraction. Enjoy an exciting night out on the town at the MGM Grand Casino. Watch an action packed football game at Ford Field. Spend a day outdoors at the Detroit Zoo or at scenic Maybury State Park. The Burton Manor Conference Center and Madonna University are also nearby. The Ambassador Bridge to Canada is only 15 minutes from our hotel..Wake up early and enjoy our free continental breakfast served daily from 6am - 9am. Breakfast goodies include bagels/ waffles/ muffins/ cereal/ coffee/ and juices. Livonia offers a variety of dining choices to satisfy all of your taste buds. Walk over to the Mediterranean Bistro for a delicious gourmet meal. Other dining choices within 2 miles of our hotel include Bob Evans Restaurant/ Logans Roadhouse/ Olive Garden/ Panera Bread/ Leos Coney Island/ and the Szechuan Empire. At Americas Best Value Inn Livonia/ your comfort and enjoyment are our top priorities. Our tastefully decorated guest rooms are generously equipped with free wireless high-speed Internet access/ satellite TV with HBO/ microwave/ coffeemaker/ radio/ hairdryer/ in-room safe/ iron/ ironing board/ and free local calls. Upgrade to a suite and enjoy the added luxuries of a jacuzzi and mini-fridge. For your convenience/ we also have a guest laundromat. Sorry no pets allowed. At Americas Best Value Inn Livonia/ We ve Got You Covered from the time you hit the road until your head hits the pillow. 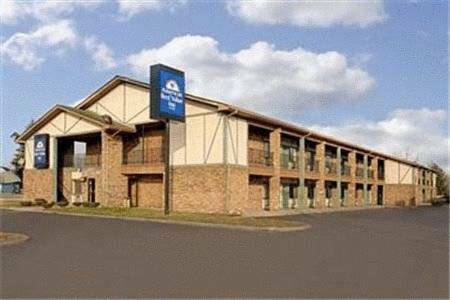 Americas Best Value Inn Livonia is conveniently located on I-96 between Exit 176 and Exit 177 on Schoolcraft Road west bound. From Exit 176 go straight pass Middlebelt Road and make a left at the traffic light access road. Our hotel will be on the left side. From Exit 177/ go straight pass Inkster Road and go about 2 blocks and our hotel will be on the right side. Our address is 28512 Schoolcraft Road/ Livonia/ Michigan/ 48150.